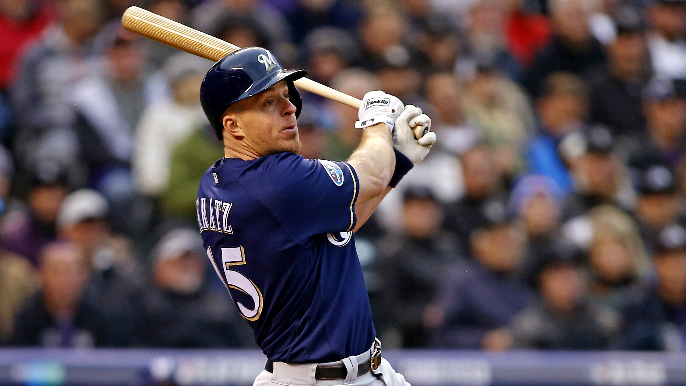 SAN FRANCISCO — The San Francisco Giants announced today that they have acquired catcher Erik Kratz from the Milwaukee Brewers in exchange for minor league infielder C.J. Hinojosa. Kratz, 38, appeared in 67 games with the Brewers last season and hit .236 with six homers and 23 RBI in 219 plate appearances. He also produced a .292 batting average in 26 plate appearances during Milwaukee’s postseason run in the Division Series and League Championship Series. Originally drafted by the Toronto Blue Jays in 2002, Kratz has spent parts of nine seasons in the big leagues with Pittsburgh (2010, 2016), Philadelphia (2011-2013, 2015), Toronto (2014), Kansas City (2014-2015), Houston (2016), New York-AL (2017) and Milwaukee (2018). He batted .241 in 11 games this spring with Milwaukee. Hinojosa was selected by the Giants in the 11th round of the 2015 amateur draft and played four seasons in San Francisco’s minor league chain. To make room for Kratz on the 40-man roster, the Giants designated right-handed pitcher José López for assignment.